Looking for testing of your network, wireless infrastructure, website or mobile application? We can provide bespoke testing, through development testing or OWASP guided testing. 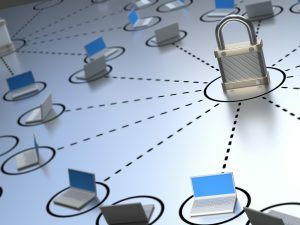 A penetration test, colloquially known as a pen test, is an authorised simulated attack on a computer system, performed to evaluate the security of the system. The test is performed to identify both weaknesses (also referred to as vulnerabilities), including the potential for unauthorised parties to gain access to the system’s features and data, as well as strengths, enabling a full risk assessment to be completed. Testing new products, websites, applications, mobile apps, wireless networks before they are in operational use will allow executives to understand and manage the risks their assets face. All networks attract risk, as their use is a balancing between flexibility, functionality, user experience and security. While most users can assess the 1st three aspects, few are able to assess the security or operational risk that a network attracts. Penetration Testing seeks to close that knowledge gap. as business and organisations are critically dependant on both the confidentiality of data and the availably of the network to do their work. This is always best conducted in a calm collected manner rather than late at night with reporters asking for details of a breach. With security breaches costs rising in terms of both reputational damage and the financial impact from IT, Security and Executive staff being diverted from their normal duties. Networks (including servers and clients). Wireless network (as part of a separate review or as part of an overall package). See the dedicated wireless testing page. Websites (including the back-end servers, databases and applications). Mobile Applications (for phones, tablets) and their associated back-end servers. Internet of Things (IoT) or non computer form-factor Internet connected devices or embedded devices. If you would like more information, please contact us here and we will arrange a scoping call.